At New Directions Realty in Hilliard, Juanita Daniel works with first time home buyers, sellers, and investors to find the perfect property to meet their needs. She listens to clients’ requests and asks the right questions to find a home that fits within their budget, suits their personal tastes, and will work for their lifestyle. 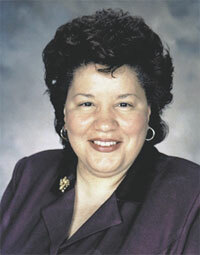 Juanita is a member of the Columbus Board of Realtors, Ohio Realtors Association, and the 25 Million Dollar Club. She is a relocation, buyer, and marketing specialist, working with both existing and new build homes. She has expert negotiating skills, working with all parties involved in the real estate transaction to get her clients the best possible value for the sale of their home or price on the home of their dreams. New Directions Realty is also a member of the Better Business Bureau. From the preapproval to your first home showing, making an offer to completing the home inspection and closing the sale, Juanita is there to support you. She strives to make every home buying or selling experience as stress-free as possible. She will work hard to facilitate a timely closing date that works with your schedule. To begin working with an experienced real estate agent, contact Juanita today.